Size: 4" x .75" x .150"
Description: This highly complex damascus bar is a pattern that Bill forged called Dragon's Breath. It was forged from 1084 and 15N20 carbon steels. The pattern is a nice mix of fine and bold patterns, making it beautiful both from a distance and up close. The pattern displays an expanding burst of flames. 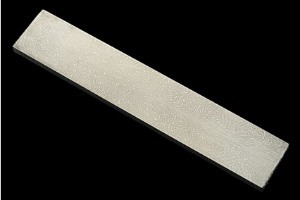 The bar measures 4 in X 3/4 in X .15 inches. The bar has been annealed and is ready to grind. A grind and etch shows off the pattern that will be revealed. 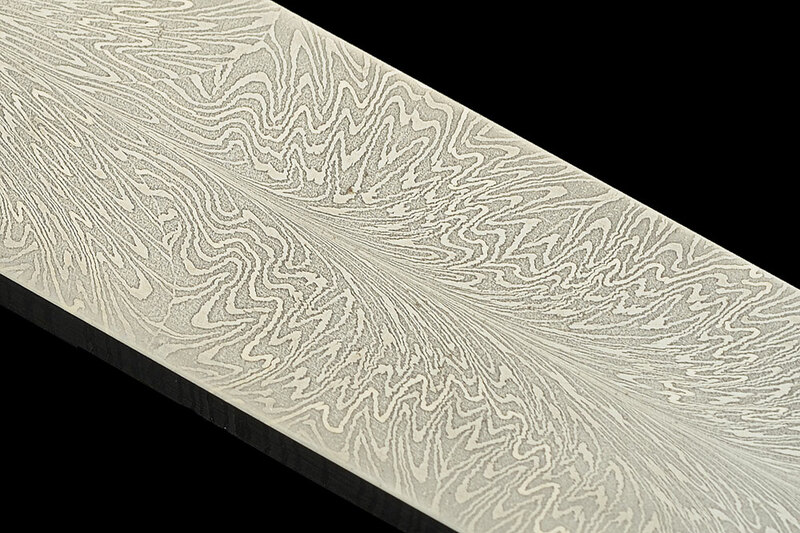 An exceptional bar for a high end performance blade -- perfect for your own project or one for your favorite maker. 0.296875 0.078125 296.875 78.125 Trailer Started.